AddressThe address for this sale in Rochester, NY 14610 will no longer be shown since it has already ended. All Sales Final - Not Responsible for Accidents - Must Remove Purchases by End of Sale. Please Provide Your Own Help With Loading Vehicles. Note to early arrivals; Customers must stay on-site until a Broom Clean Estate Services staff member exchanges temporary numbers for permanent numbers. Obey posted parking signs. Do not block driveways. 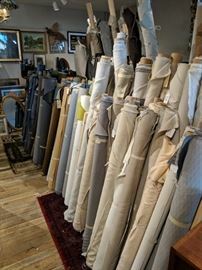 fantastic opportunity to purchase upholstery fabric and full hides of leather at wholesale prices. 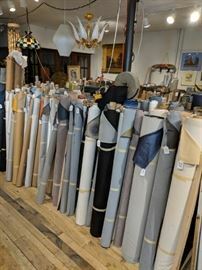 over 5 thousand yards of fabric. great patterns, solid colors and vinyl too. now you don't have an excuse not to complete that project you purchased at another sale. this fabric is top quality and designer styles. early birds welcome nine to noon thursday and friday. no holds and no samples.